5. 6. First cherries I've had this season! Pretty but not as tasty as the dark red ones. Thank you so, so much! Or should I say, mahalo! I love it and I hope I can care for it properly to maximize its lifespan. 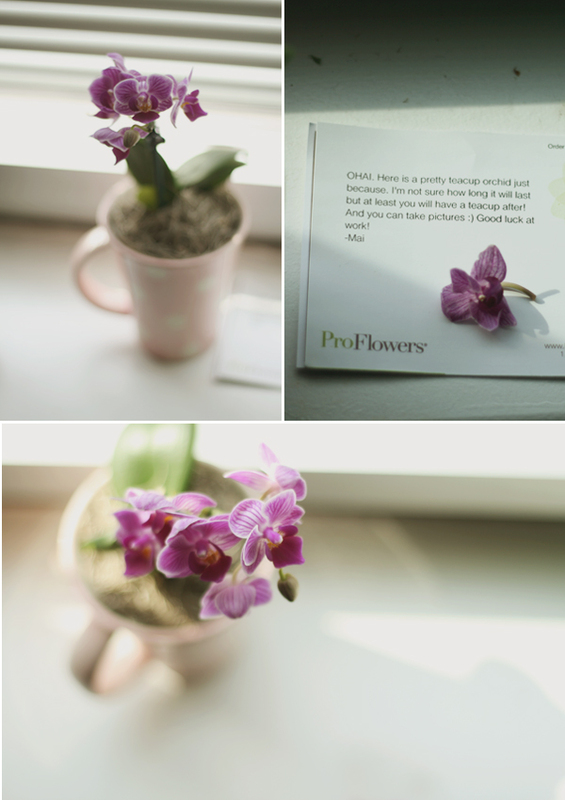 It really means a lot when I get flowers from people, maybe because I have not had great luck getting them from the guys in my life (hahah). Also, flowers just make me so happy, and taking pictures of flowers makes me happier. 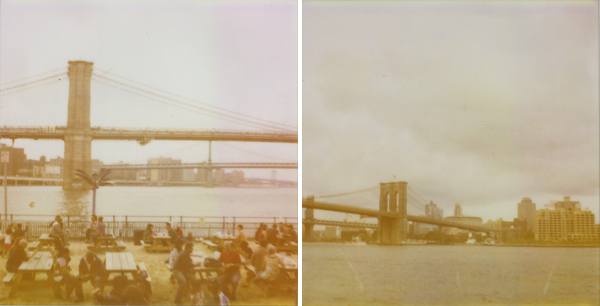 Two polaroids taken from the South Street Seaport. Why are bridges so damn photogenic? 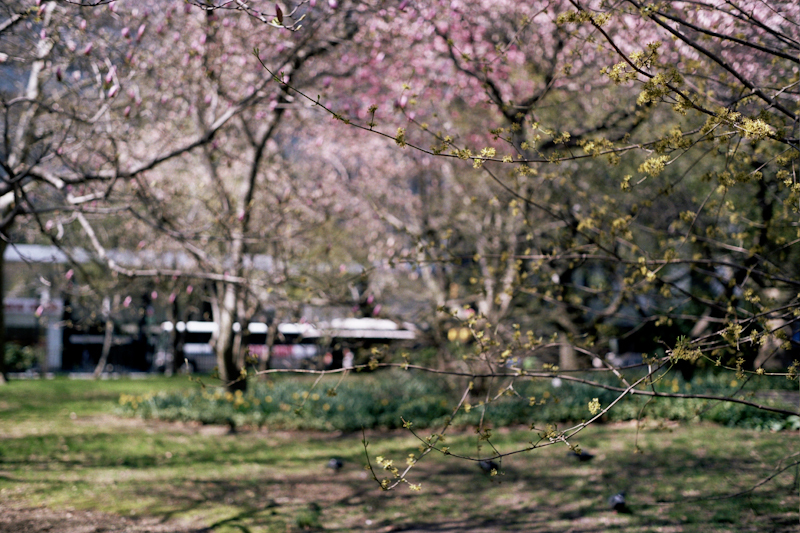 Photos from Tribeca and the Lower East Side. I love strolling through these sidewalk markets. Something about them makes me feel wholesome and healthier :P. I also really love the cyan cartons that the strawberries come in. So much cooler than the clear plastic cartons you'd get at the supermarket, no? Every time I'm passing through the West Village, I always check out what's going on with its location of Le Pain Quotidien. 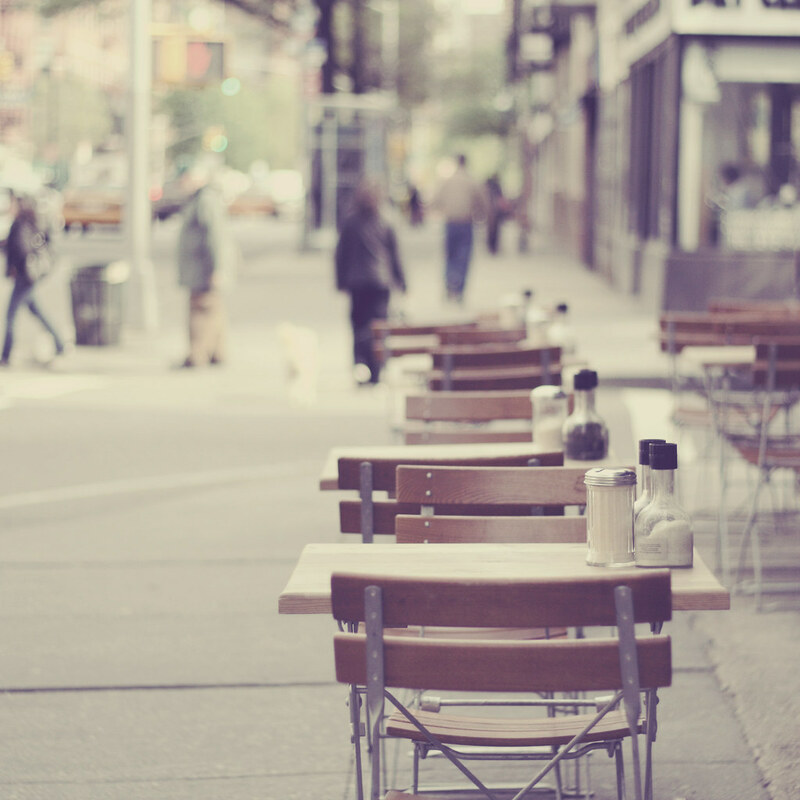 Even though the whole city is littered with these cafes, I think I'm just drawn to these particular wooden chairs and tables outside. I have end up always snapping a photo or two. The above was taken with a Pentax 67, 105mm. The first time I was in this area, I think I was charmed by the simple, but engaging outdoor furniture. 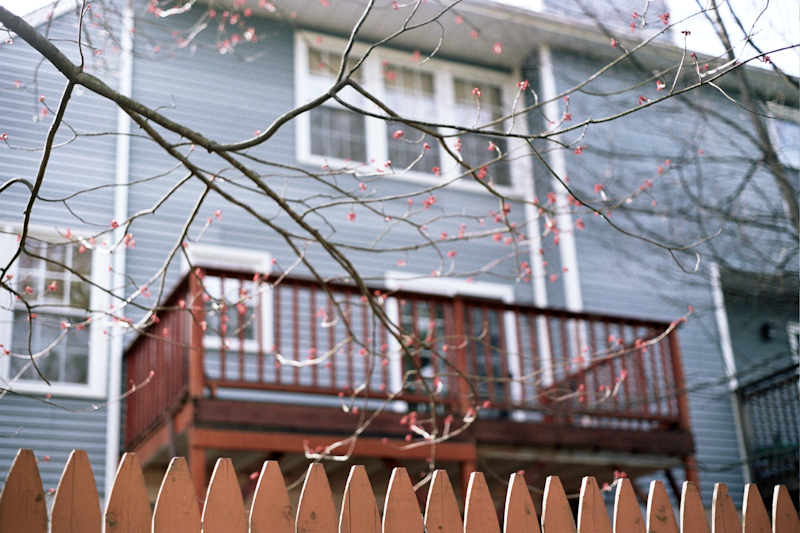 I have this picture below as proof (taken with my Canon XTi, 50mm). At the time, I don't think I even knew what Le Pain Quotidien was. It's also interesting to see what kind of processing I was into at the time (circa April 2009). If I had taken this shot now, I don't think I would have gone with such light tones. 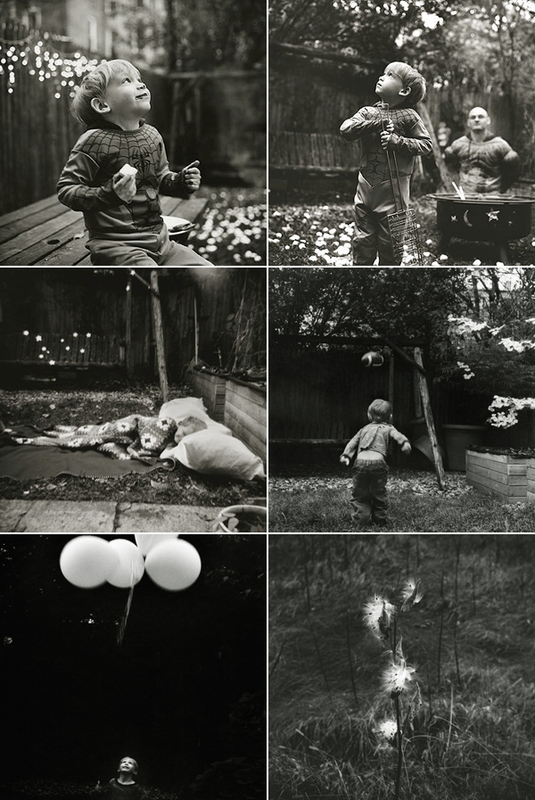 How absolutely lovely are these playful b&w photos from the personal portfolio of Ondrea Barbe? The one with the balloons and all that black space really kills me. These expressions are just priceless. She has really transformed her backyard into an enchanting place. 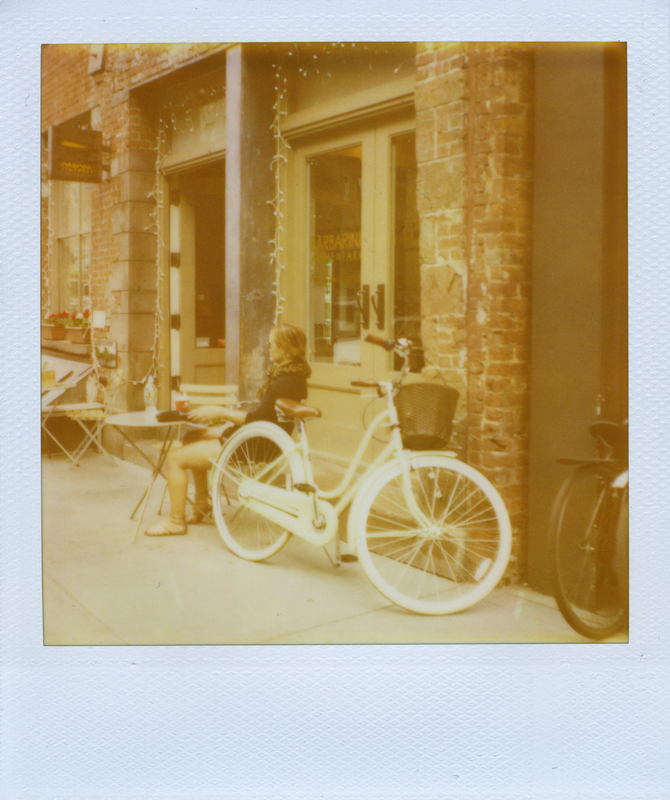 This girl had a beautiful light mint-green bike. I'm so sad the gorgeous color didn't show up in the polaroid. This scene just felt very European to me, but it was actually in a little side street in the South Street Seaport. I found out her name was Erica and we chatted a little bit about cameras and hobbies (hers appropriately being biking). Hopefully I will meet some other lovely people through my newly acquired, ancient looking Polaroid SLR 680. I'll leave you with these ridiculously beautiful images from Melanie Acevedo's interiors portfolio. So inviting. I'm loving the slightly messy, lived-in feel to the first row of pictures. Anyway, the rest of her work is definitely worth checking out. Absolutely stunning! 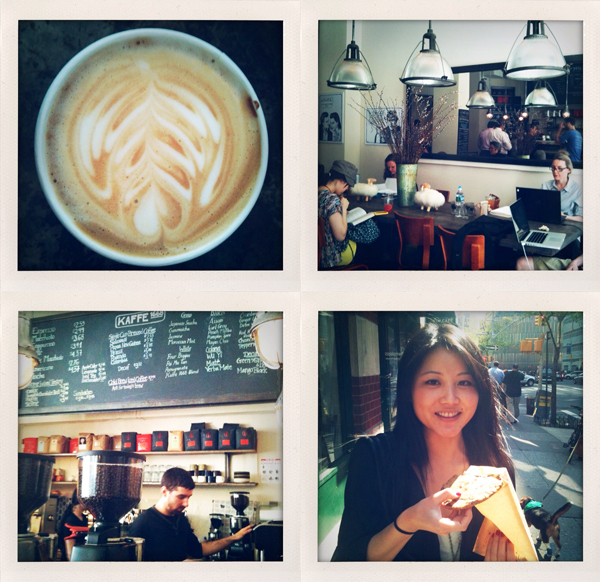 A while ago, the NY Times published a list of some of the best coffee shops in New York, Kaffe 1668 being among them. 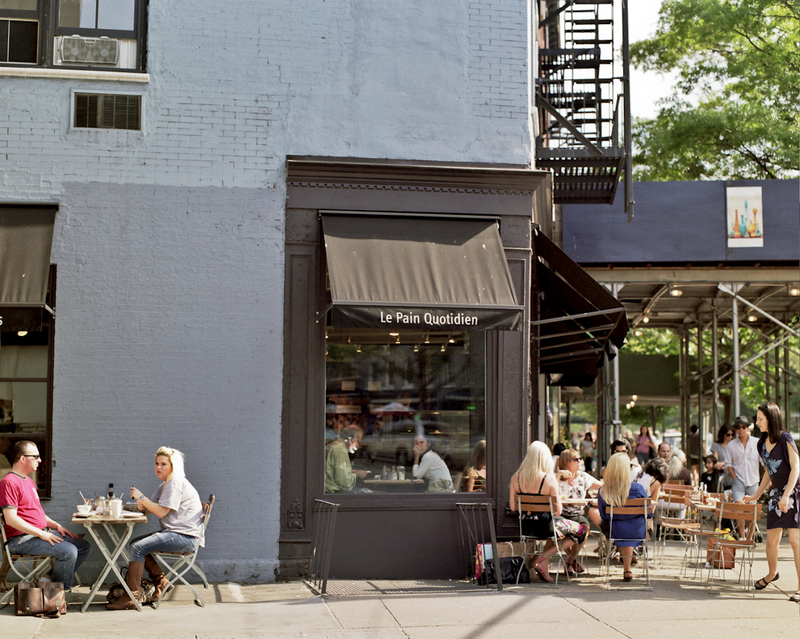 "In some ways, Kaffe 1668 is a neighborhood cafe; in other ways, it’s an orthodox coffee bar. For New Yorkers on the run, there are lattes in paper cups and jumbo cookies. But for the obsessed, there is drip coffee from a Clover machine, or seasonal single-origin espresso, which the baristas refuse to serve in a cappuccino because the milk would mask the flavor." Yeah, they are pretty serious about their coffee. Oh, and their cookie is everything I look for in a chocolate chip cookie. Half-baked in the inside, crispy edges, lots of melted chocolate chunks. One problem - it is almost TOO messy/gooey and you really need at least a couple of good sturdy napkins to get you through it. Yum. 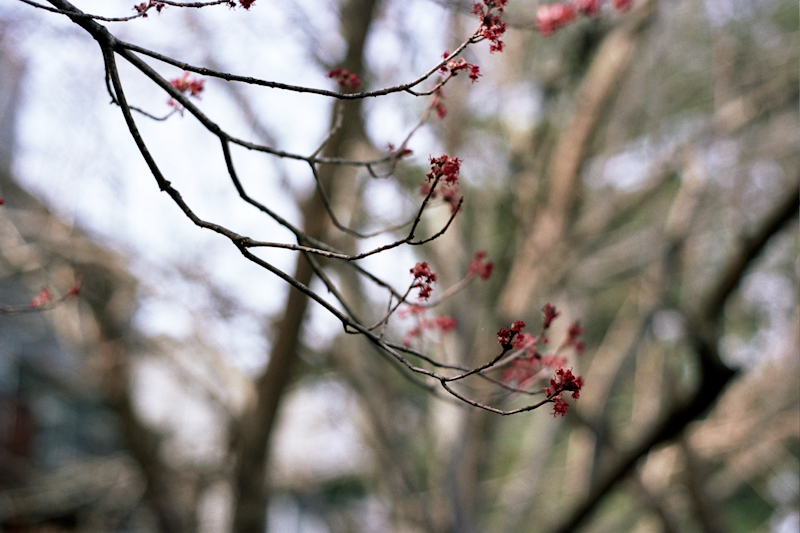 These were some of the very first shots I took with my Minolta X370s with Kodak Portra 160NC film. Obviously taken a while ago, as the trees were still pretty bare. Just for fun, I wanted to see the breakdown of costs per exposure. Roughly 58 cents an exposure (36 roll). This doesn't even count the subway rides I specifically took to and from B&H, and also to and from LTI Photo Lab. That brings the total to just about 80 cents an exposure. :-O Ridiculoussss, but I suppose it is still much cheaper than Polaroid film (which now seems to ring up at $3-$4 per exposure on eBay). Did I mention I just won a Polaroid SLR 680 on eBay? I'm still anxiously waiting for it and hoping it works nicely. Ugh, it's easy to see why no one really does film anymore. I may have to starve myself if I want to keep up this hobby. I'm looking into some negative scanners so at least I can avoid the exorbitant $10 CD scans charge (PER roll). The scans were hardly high resolution either. Such a rip-off. At the same time, I am still completely seduced by film and want to produce the results I admire in other's film work. But really, does it have to be so damn expensive? It's also just frustrating that it's a slow process and you can't really track what went right or wrong in each shot unless you note all your settings as you go. Ahh, patience (and $$$). Recently, I blew the dust off my little blue point & shoot camera and started packing it with me again. I had forgotten how much I loved that tiny thing. In good light, at least. Ever since I got my Digital SLR in the summer of 2008, I pretty much abandoned the point & shoot. It was only through my current job that I realized good things can come out of little cameras. And as I was lurking on more and more blogs, I came to a similar conclusion. Perhaps it is more so about how the pictures are stitched together to tell the story than the technical specs of the pictures. In that sense, I also realized that a lot of times, a picture on its own may really look like nothing, but when carefully and deliberately arranged with others, it becomes so much more. I remember being disappointed with my pictures from my China trip this past winter, but going back and arranging them to tell a story really helped me appreciate them. 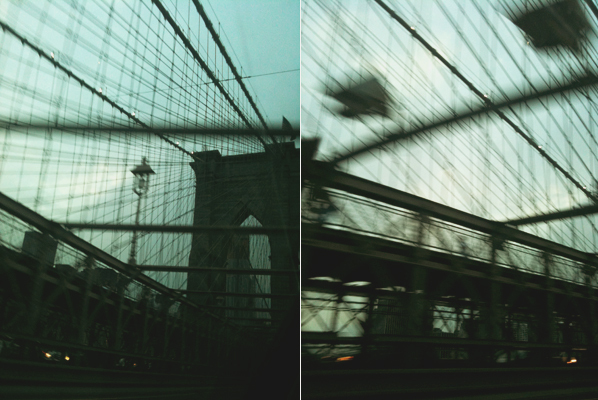 The above pictures were haphazardly snapped with my iPhone as my dad drove down the Brooklyn Bridge. Nothing fancy here, but they remind me that photography is not always about toting around the best or most expensive equipment. A bit of a relief, no? Hello, blogging world. If I said I could count the number of times I forayed into blogging on one hand, I would be lying. (Two hands may even be cutting it close.) But, recently I've been doing so much lurking on other's blogs and being so passive about starting up again that it started to really get to me. I want a neat little space where I can share too. I kept holding myself back because I felt like there were so, so many fabulous and established blogs out there already, and I didn't know how I would make mine different. And maybe it won't really be all that different, but I will make it mine with my photos. That is perhaps the one thing I can really claim. I'm not saying it will even necessarily be good, but it will be mine. And as cliche as this sounds, it will give you a view of the world from my eyes. The image above was taken in the West Village a few weekends ago. I didn't actually notice the men painting until I saw some other photographer pointing his camera upwards. I have this nosy habit of peeking to see what others are shooting, especially if it seems to be a random shot. For some reason, the men painting the movie poster just felt anachronistic. Everything else in NY seems to be on massive LCD screens after all.